Volvo has redesigned its website and the above links are no longer available. 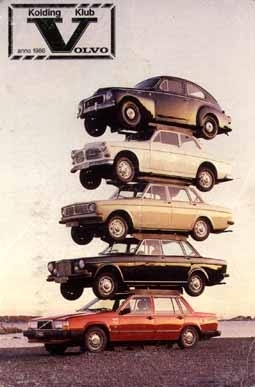 "There's a good reason why they say you'll find a little piece of Volvo in just about every car on the road today. 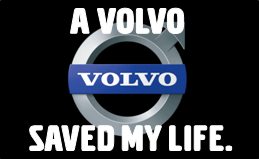 Take a look through the list below and you'll see just how many lifesaving innovations first appeared in a Volvo. It's a list we're extremely proud of. 2013 i-Art. Drive-E diesels feature feedback from each fuel injector. 2014 Inflatable Child Seat. Rearward-facing child seat concept can be tucked away in a small bag when not in use. 2014 Food to car. Volvo demonstrates deliveries of food direct to the car. According to an early 1990s study by the Insurance Institute of Highway Safety, it is a 240! "The Insurance Institute for Highway Safety based its findings on a study of four years' worth of accidents in which drivers were killed. The crashes occurred between 1989 and 1993 and involved 1988 through 1992 vehicles. The group said no drivers of '88 through '92 Volvo 240s were killed during those years, so its death rate was the lowest." Search by make, model, and year. Higher standards: 62 models meet tougher criteria to earn IIHS awards"
"Just 15 vehicles qualify for the Top Safety Pick+ award from IIHS after the requirements were strengthened to include good-rated headlights and good or acceptable passenger-side protection in small overlap front crashes. Another 47 vehicles earn the Top Safety Pick award, which now requires acceptable or good headlights. In contrast, headlights weren't factored in for 2017 Top Safety Pick, and an acceptable headlight rating was enough to bump a 2017 award winner into "plus" territory." "In the best light 2017 TOP SAFETY PICK+ winners meet new headlight criteria"
"Consumers who choose a 2017 Top Safety Pick+ award winner shouldn't have trouble seeing the road on nighttime drives. Good or acceptable ratings in the Institute's new headlight evaluations set the latest crop of qualifiers apart. Thirty-eight models earn the "plus" accolade, and 44 earn Top Safety Pick." "Small overlap crash protection, front crash prevention key to 2016 awards; 48 models earn Top Safety Pick+ award, 13 earn Top Safety Pick"
"ARLINGTON, Va. — Nearly 50 vehicles meet tougher criteria for 2016 to take home the Insurance Institute for Highway Safety's Top Safety Pick+ award, earning good ratings in all five IIHS crashworthiness evaluations and an advanced or higher rating for front crash prevention. An additional 13 models qualify for Top Safety Pick." Congratulations to the TSP+ Winning Volvo S60, V60, S80, XC60, XC90. "Safety gains ground: More vehicles earn top honors from IIHS"
"For 2014, vehicles could qualify for TOP SAFETY PICK+ with only a basic rating for front crash prevention. Warning systems that meet the National Highway Traffic Safety Administration's performance criteria but don't include autobrake qualify for a basic rating. For an advanced or superior rating, vehicles must stop or slow down without driver intervention before hitting a target in IIHS tests at 12 mph, 25 mph or both (see "First crash avoidance ratings under new test program: 7 midsize vehicles earn top marks," Sept. 27, 2013)." Congratulations to the Volvo S60, V60, S80, XC60. "Thirty-nine vehicles meet tougher criteria to earn 2014 safety awards from IIHS"
"Most of the TOP SAFETY PICK+ winners qualify for the award only when equipped with optional front crash prevention systems. When those vehicles aren’t equipped with the features, they still meet the regular TOP SAFETY PICK criteria. The Volvo S60, S80 and XC60 ... earn TOP SAFETY PICK+ on the basis of standard equipment." "The Volvo S80, a large luxury car, is new to the TOP SAFETY PICK+ list because it hadn’t been previously tested for small overlap performance. However, it has had the same basic design since 2007, so its good small overlap result applies to earlier models as well." Congratulations to the Volvo S60, S80, XC60, and XC90. "Volvo XC90 earns Institute's top safety award"
"New TOP SAFETY PICK+ award goes to 13 cars; 117 additional vehicles earn TOP SAFETY PICK"
Congratulations to the Volvo S60. 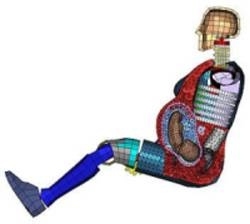 The Insurance Institute for Highway Safety (IIHS) conducted its annual crashworthiness testing to determine its Top Safety Picks. For a vehicle to earn a coveted Top Safety Pick, it must earn good ratings in each of the four Institute tests, and offer electronic stability control. Once again Volvo has proven itself to be a leader in occupant protection with an impressive five IIHS Top Safety Picks. Congratulations to the Volvo S60, S80, C30, XC60 and XC90. Read the Press Release. (PDF)"
The Insurance Institute for Highway Safety (IIHS) conducted its annual crashworthiness testing to determine its Top Safety Picks. For a vehicle to earn a coveted Top Safety Pick, it must earn good ratings in each of the four Institute tests, and offer electronic stability control. Once again Volvo has proven itself to be a leader in occupant protection with an impressive four IIHS Top Safety Picks. Congratulations to the Volvo S80, C30, XC60 and XC90. -Vincentic's 2012 Best Value in America. Read More. -IIHS Awards Five Volvo Models with Top Safety Pick. Read More. -NEMPA 2011 New England Winter Vehicles Award. Read More. -NHSTA 5-Star Safety Rating. Read More. -Prestigious 2010 International Truck of the Year Award. Read More. -Edmunds Top Recommended. Read More. -IIHS Top Safety Pick: Midsize SUV. Read More. 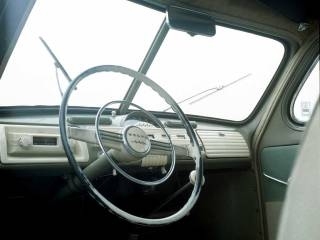 -4AutoInsuranceQuote.org 10 Least Expensive Cars to Insure. Read More. -NWAPA Best Luxury SUV. Read More. -Intellichoice 2011 Best Overall Value Premium Luxury Crossover/Wagon Class. Read More. -NHTSA 5-Star Safety Rating. Read More. -IIHS Top Safety Pick: Midsize Cars. Read More. -International Car of the Year (ICOTY). Read More. -Ward's 10 Best Interiors Award. Read More. -Vincentic's 2011 Best Value in America. Read More. -Automobile Magazine All Star Award. Read More. -Ward's 10 Best Engines. Read More. -IIHS Top Safety Pick: Large Cars. Read More. -Intellichoice 2011 Best Overall Value Premium Sporty/Coupe Class. Read More. -Intellichoice 2010 Best Overall Value Luxury Convertible Class. Read More. -J.D. Power Top Ranked Model in Class. Read More. -IIHS Awards Four Volvo Models with Top Safety Pick. Read More. -Volvo XC60 Wins Prestigious 2010 International Truck of the Year Award. Read More. -Edmunds “Top Recommended" vehicle. Read More. -IIHS Top Safety Pick: Midsize SUVs. Read more. -Automobile magazine All-Star Award. Read more. -Ward’s 10 Best Engines. Read more. -IntelliChoice 2010 Best Overall Value of the Year in its Luxury Convertible class. Read more. -J.D. Power: Top-Ranked Model in its Class. Read more.